Apparently, you can’t keep a good archaeologist down. Years after the legendary character was revived for Indiana Jones and the Kingdom of the Crystal Skull, Disney just announced that Indiana Jones 5 will be moving forward with Steven Spielberg at the helm and Harrison Ford returning to the lead role. The film has been given a release date of July 19, 2019. Indiana Jones is one of the greatest heroes in cinematic history, and we can’t wait to bring him back to the screen in 2019. It’s rare to have such a perfect combination of director, producers, actor and role, and we couldn’t be more excited to embark on this adventure with Harrison and Steven. Bringing Harrison Ford and Steven Spielberg back into the fold for a fifth Indiana Jones adventure ensures continuity for a franchise that has entertained several options over the past few months (and even years). For the longest time, rumors of a new actor stepping into the classic Indiana Jones role had been floated, with everyone from Bradley Cooper to Chris Pratt being discussed as potential replacements. Spielberg did what he could to quell those conversations, however, when he stated that the only actor he cold ever see playing Indy is Harrison Ford. Now Disney is putting its money where its mouth is. The press release also confirms that franchise veterans Kathleen Kennedy and Frank Marshall will be back to produce Indiana Jones 5. There is no information on who will write this chapter in Indiana’s story, or what the plot will entail. 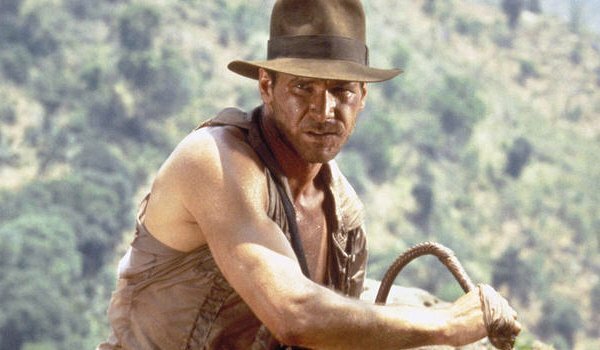 Now Spielberg and Ford have three years to get Indiana Jones 5 right. By the time the movie is released, Harrison Ford will be 76. Not exactly peak age for an action star, though if his recent turn in Star Wars: The Force Awakens proves anything, it’s that fans want to see Ford back in the shoes of his iconic roles. Just… don’t kill Indy off, too. Not yet. We will continue to track the progress of Indiana Jones 5, a movie that currently has no competition, but will land in theaters one week after Marvel opens Inhumans. Good news for parent company Disney, no?